Ever since it was announced at Comic-Con last summer that Batman would be appearing alongside Superman in Zack Snyder’s Man of Steel sequel, speculation has run rampant as to what the official title for the movie would be. For the most part, fans went on the assumption that the movie would be called Batman vs. Superman. It’s a good title, and one that excites fans every time they hear it. Well, we now know the official title of the film. 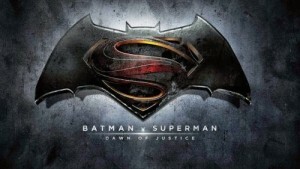 The studio announced that the title will be Batman v Superman: Dawn of Justice. Fans took to the Internet to voice their displeasure with the title right away, but I for one don’t hate it as much as most. Sure, it is stupid that it is ‘v’ instead of ‘vs’, and yes, the subtitle makes it sound more like a video game or animated film than a summer blockbuster. But regardless of what the title is, fans are still going to refer to it as Batman vs. Superman. I always refer to the first Captain America movie as Captain America instead of Captain America: The First Avenger. Like that film, the Dawn of Justice subtitle is simply foreshadowing the direction this franchise is headed in. We know that a Justice League film will follow Batman v Superman, just like we knew The Avengers was going to follow Captain America. For the record, too, I wasn’t a big fan of the title The Dark Knight Rises, but now I love the title (even though I didn’t like the movie). Let’s give Batman v Superman: Dawn of Justice some time to grow on us. Besides, it’s not like we’re going to boycott the movie just because of the title.